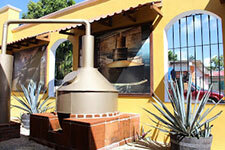 Distilled from the blue agave plant, tequila is a proud spirit - and the most iconic drink of Mexico. Learn all about this traditional libation during your visit to Cozumel on a Flavors and Traditions of Mexico tasting tour. While tequila was first brewed in the region of modern-day Jalisco, you'll encounter plenty of the distilled spirit on the island of Cozumel. The Aztecs first brewed a fermented beverage from the agave plant, and the Spanish conquistadors adopted the process in the 16th century. 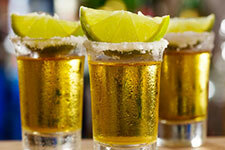 Tequila is one of North America's first indigenous distilled spirits. 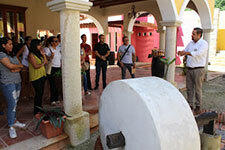 Whether you like your tequila in a cold margarita or straight up with a slice of lime, you can explore this iconic treat on a Flavors and Traditions of Mexico tasting tour. This delicious tour is one of the most popular add-ons at our water park, and it begins with a stop at Mexico Lindo. You'll learn about the traditional distillation process during a "Tequila 101” course, discovering the secrets of the blue agave plant. 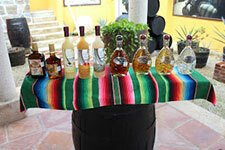 Try an assortment of fine tequilas and savor the nuances of flavor - and take a few samples with you for "homework." But the tequila tasting is only the beginning. The tour also includes a trip to a chocolate workshop followed by a creative cooking class where you'll create a fabulous three-course meal. 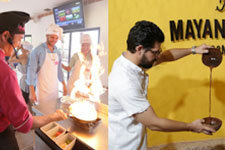 Pricing is $99 per person - book today and explore the proud spirit and rich culinary heritage of Mexico.